If you drive drunk, crash and someone dies as a result, you are likely to be charged with DUI manslaughter, as defined in F.S. 316.193(3)(c)(3). It is a serious felony offense, and you will need an experienced Fort Lauderdale DUI defense lawyer to help ensure your rights are protected. 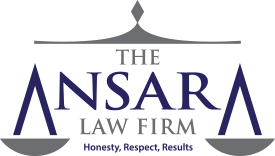 If dismissal or reduction of charges is not possible (as it is in some cases), The Ansara Law Firm will fight for leniency on your behalf. DUI manslaughter carries a minimum mandatory prison sentence of four years. We recognize that regardless of the circumstances, these cases are unfortunate and tragic. Law enforcement and prosecutors will vigorously pursue these cases, regardless of a defendant’s intent or prior criminal record. While personal responsibility is important, we firmly believe everyone is entitled to a vigorous, skilled defense when it comes to accusations like this because the consequences involved are so significant. Nearly 45,000 people are arrested every year for DUI offenses, according to Florida Uniform Traffic Citation Statistics. The Centers for Disease Control and Prevention (CDC) reports nearly 8,500 people were killed in alcohol-related crashes over a recent, 10-year span. Approximately 1 in 3 traffic deaths nationally involves a suspected drunk driver. Florida rates of alcohol-related crash deaths is slightly higher than the national average – 3.7 per 100,000 people versus 3.3 per 100,000. The rate of deaths is slightly higher among Florida males than females – 5.7 versus 1.7. Florida tries to tackle these issues by setting per se limits on bodily alcohol concentration (0.08), allowing sobriety checkpoints, enforcing “zero tolerance” laws making it illegal for those under 21 to have a BAC of 0.02 or higher and imposing ignition interlock requirements on repeat offenders (and sometimes on first-time offenders). Still, drunk driving deaths continue to be a reality. If you are accused, it’s important to understand the exact crime with which you have been charged and your legal options for defending yourself. DUI manslaughter occurs when a person driving or in actual physical control of a vehicle while also being either under the influence of alcohol or chemical substances that impair one’s normal faculties or has a BAC of 0.08 or higher. Under those conditions, if an individual causes the death of another person – directly or indirectly (including an unborn child) – that individual can be charged with DUI manslaughter. Prosecutors must first prove defendant was guilty of DUI and secondly that the DUI offense caused the death of someone else. DUI manslaughter is considered a second-degree felony under Florida law. That carries a maximum penalty of 15 years in prison – per death. However, the crime also carries a four-year minimum mandatory sentence. That means if you are convicted, there probably isn’t any way to obtain a lighter sentence than that. Penalties may be enhanced to a first-degree felony if at the time of a deadly crash, one knew or should have known the crash occurred and failed to render aid or give information as required by F.S. 316.062 (i.e., hit-and-run). In that case, the charge is bumped up to a first-degree felony, punishable by up to 30 years in prison. In years past, there was no minimum mandatory penalty in deadly hit-and-run crashes. That meant impaired drivers had incentive to flee the scene of a fatal crash. It viewed as part of the reason for Florida’s high rate of hit-and-run crashes (an estimated 99,000 in a single recent year). However, that has since changed, and the minimum mandatory penalty for hit-and-run in a deadly crash is now also four years. One analysis by The Miami-Herald found that prison terms vary widely from county-to-county and even case-to-case. The average sentence for DUI manslaughter is just below 10 years in prison. Broward county DUI manslaughter conviction sentences mirrored that rate, while those in Miami-Dade served an average of 6 years in prison and those in Palm Beach an average of 11.5 years. Reasons for the disparity are complex (including victim cooperation, media scrutiny and defendant’s criminal history), the skill of the DUI defense attorney cannot be overlooked. Our attorneys will fight hard for a reduction or dismissal of DUI manslaughter charges. We can do this by challenging the sufficiency of the evidence or working to suppress important evidence against you, which will weaken the prosecutor’s case. Some cases may be resolved prior to trial through negotiation of a favorable plea deal.